Perfect Body Laser and Aesthetics® has earned the Solta Medical “Black Diamond Award” from 2008 - 2015. This prestigious award is earned by providing the most client treatments and the highest level of client satisfaction. 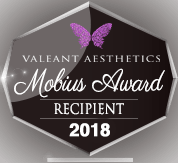 From 2016 – Today, Perfect Body Laser has been the recipient of the Valeant Aesthetics “MÖBUIS Award” for being the #1 provider of Thermage CPT, Fraxel Dual, and Clear & Brilliant Perméa treatments in the entire country. Perfect Body Laser is also a Cynosure “Center of Excellence”. This distinction is chosen for experienced clinics who hold Cynosure certifications on, and own at least (3) of Cynosures best laser platforms! Perfect Body Laser and Aesthetics® - The Most Awarded Aesthetic Laser Facility. Perfect Body Laser is the only provider in New York to have multiple achieved all of these national recognitions (out of thousands of providers)! Perfect Body has been the premier provider of laser services such as non-surgical face lifting, jawline contouring, neck-lifting, body contouring, fat reduction, stretch marks, scar reduction, tattoo removal, hair removal, skin rejuvenation and skin color correction on Long Island. Perfect Body Laser has been a proud member and sponsor of the iSpa Association. 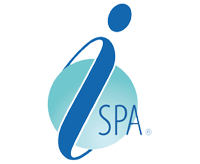 Since 1991, the International SPA Association has been recognized worldwide as the professional organization and voice of the medical and spa industry, representing health and wellness facilities and providers in more than 70 countries. iSpa encompasses the entire arena of experience from nurses, aestheticians and clinical laser skin care providers. Perfect Body Laser has been a proud member and affiliate of the Associated Skin Care Professionals (ASCP). 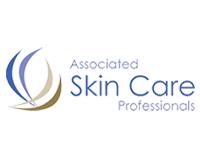 The Associated Skin Care Professionals is the nation’s largest professional membership association for skin care professionals. ASCP was created by the founders of ABMP, the largest professional association for massage therapists. Because many nurses, laser professionals and massage therapists are also licensed estheticians, ABMP membership was extended to skin care practitioners in 1997. As demand grew for an organization devoted solely to their needs, ASCP was formed in January 2007. 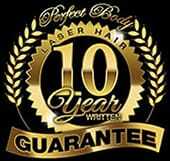 Perfect Body Laser reviews and promotes the ASCP bylaws, code of ethics and its professional affiliations. I am proud to introduce Perfect Body Laser & Aesthetics into The Aesthetic Practice Association™ (TAPA) to our medical aesthetic community. TAPA is the first association of its kind designed specifically for our field. This unique professional organization provides a place for physicians and all aesthetic providers to share ideas while receiving high-level education, training and certification – as well as other exclusive membership benefits. 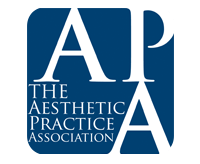 Perfect Body Laser has been a proud member of The Aesthetic Practice Association. The Aesthetic Practice Association™ (TAPA) is a community of physicians, aesthetic extenders and office staff devoted to enterprise growth and professional development. As the leading association that provides education and training of medical aesthetic practitioners worldwide, TAPA is unique in offering the industry's only Certified Aesthetic Consultant (CAC) program. 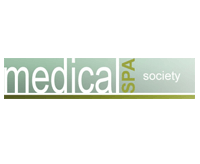 Perfect Body Laser & Aesthetics has been a proud member of the Medical Spa Society, highlighting successful aesthetic practices and medical spas. Perfect Body Laser is an active member of this organization which is dedicated to raising and upholding the level of professionalism practiced in the medical spa industry through professional and consumer education. 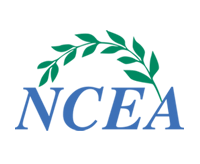 Perfect Body Laser & Aesthetics has been a proud member of the National Coalition of Aestheticians Association, an association dedicated to the support and education of the top aesthetic practices in the country.